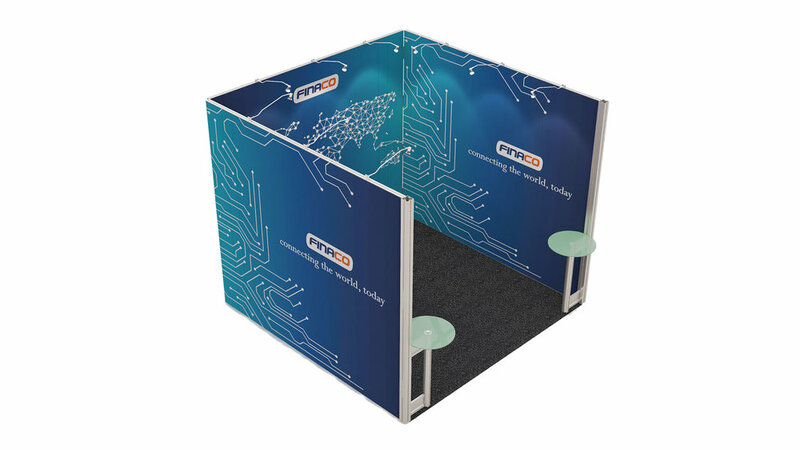 We have a huge range of exhibition stands that have been designed to help you catch attention at trade shows and events. 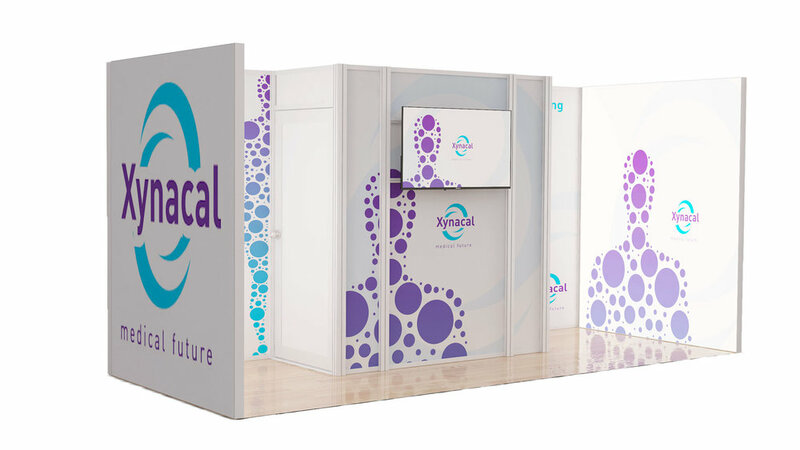 From compact portable displays to custom-built modular exhibition stands, our designs can be adapted to any situation you have in mind. 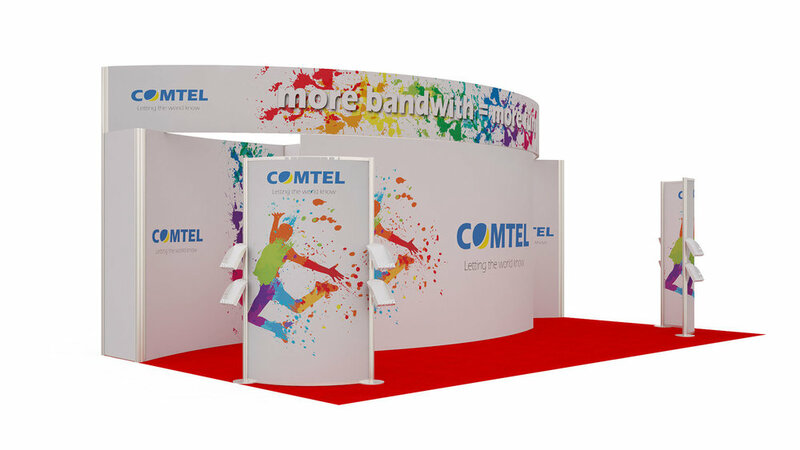 Our exhibition stands are made using one of the highest quality modular systems available that can create stands large and small, plus when it comes to custom elements, our UK-based manufacturing facility means we can provide you with bespoke features, such as curved profiles, LED illuminations, and replaceable fabric graphics quicker than anyone. 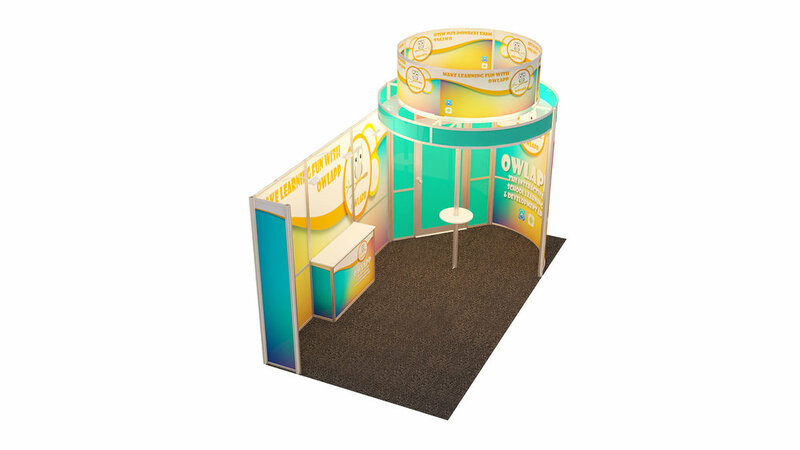 The exhibition stands below are the perfect step up for businesses that have previously used pop-up banner stands, and also provide designers who are accustomed to building large-scale exhibition stands the freedom to add new elements that will increase exposure at trade shows. 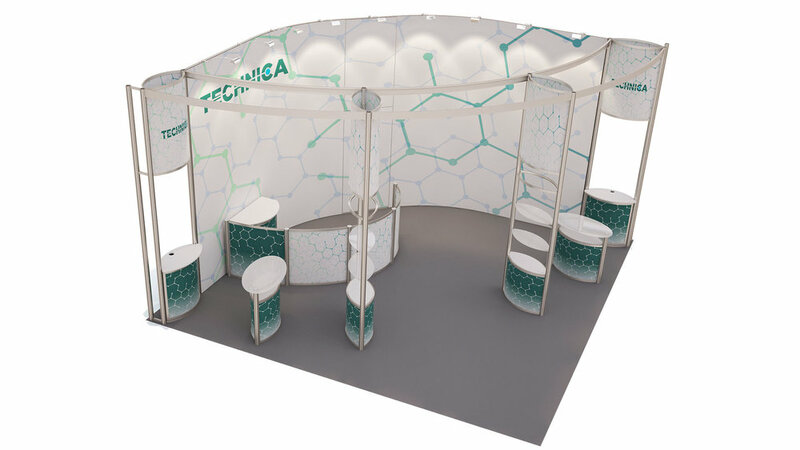 These designs are complimented by our exhibition stand design, and exhibition stand build services. 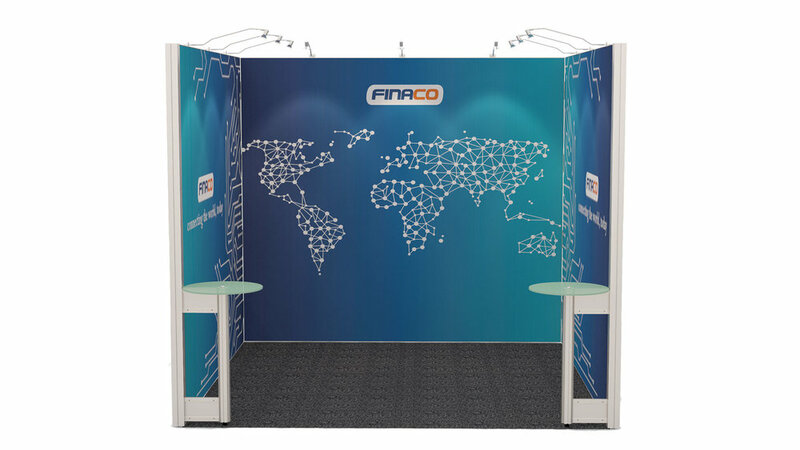 We’ve been providing exhibitors with a stress-free experience for over 20 years, meaning you can concentrate on making the most of the leads you generate. 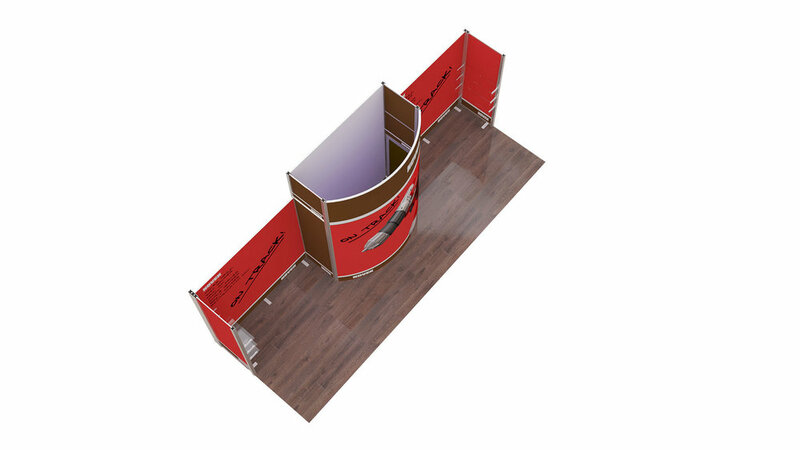 Open 1 side. 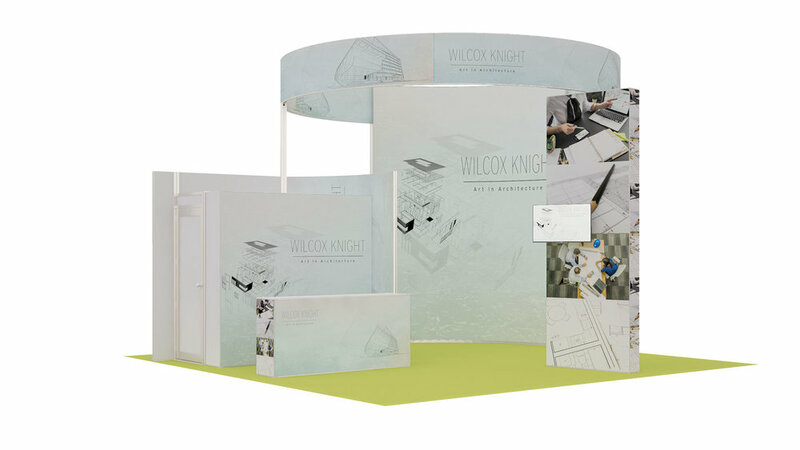 The unique way our systems are built enables this kit to be reconfigured as open on 2, or 3 sides. 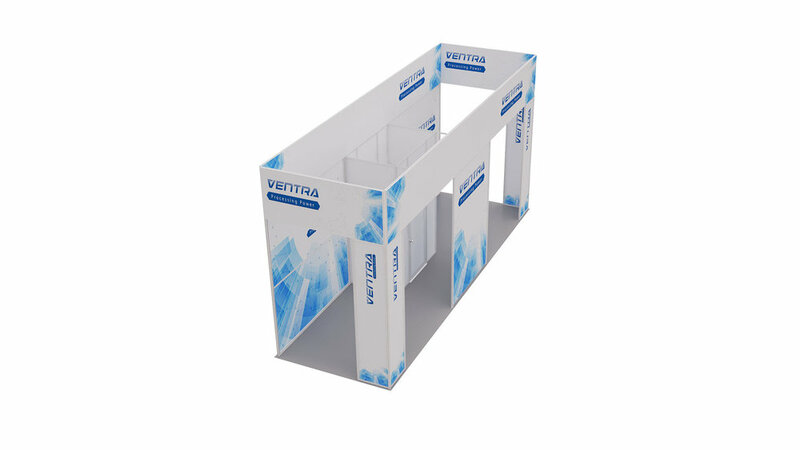 This interesting kit can suit a multitude of purposes. Open on 1 side. 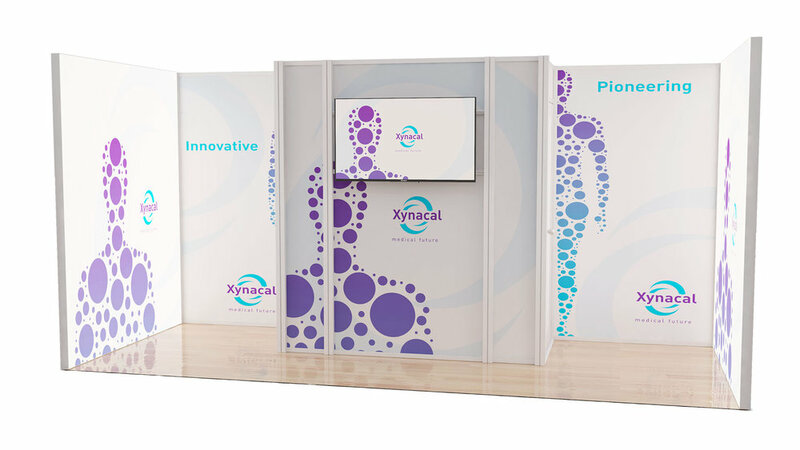 The unique way our systems are built enables this kit to be reconfigured as open on 2, or 3 sides. 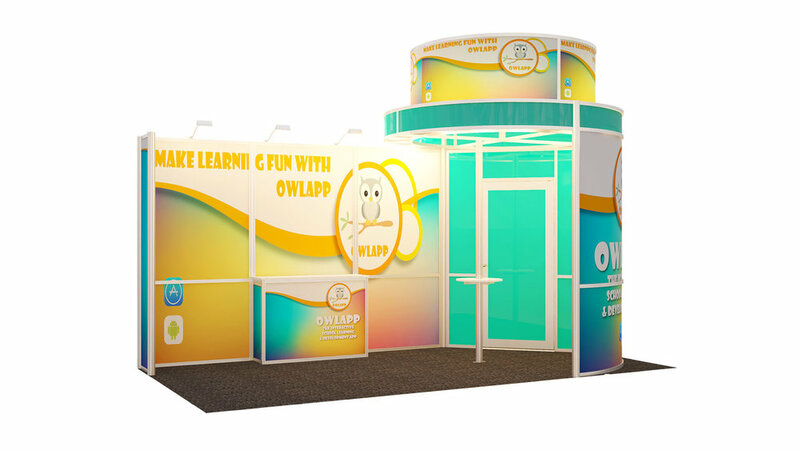 This kit has high impact lightboxes on each of the internal ends. Open 3 sides. 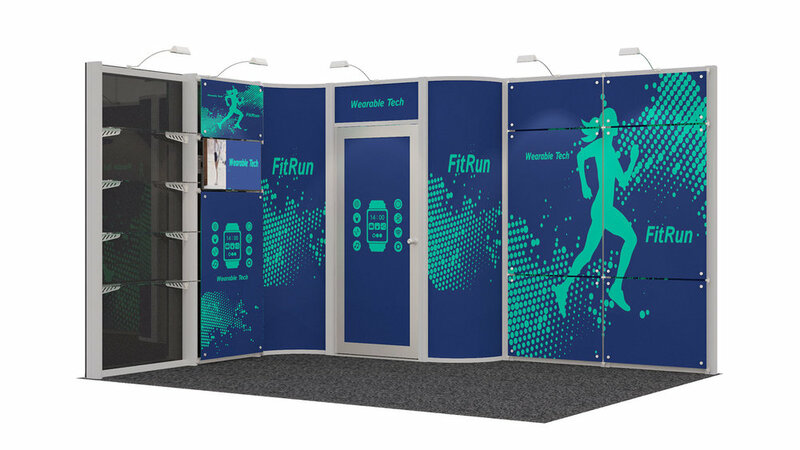 The unique way our systems are built enables this kit to be reconfigured to a multitude of smaller sizes. 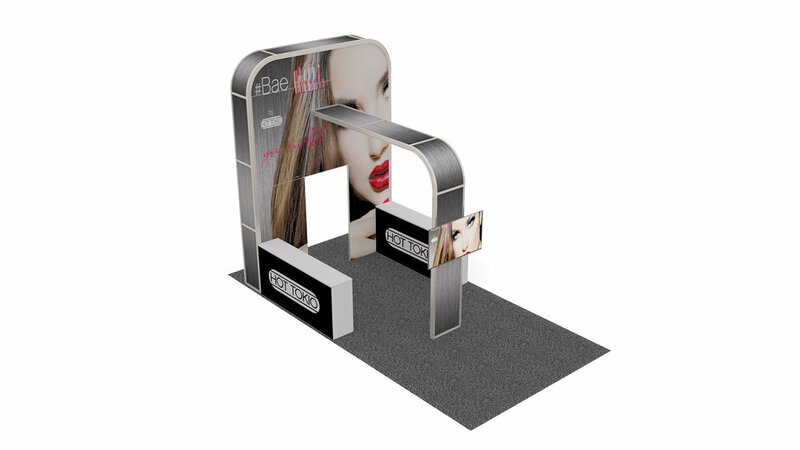 This feature packed kit is sure to grab attention at any event. 2 open sides. 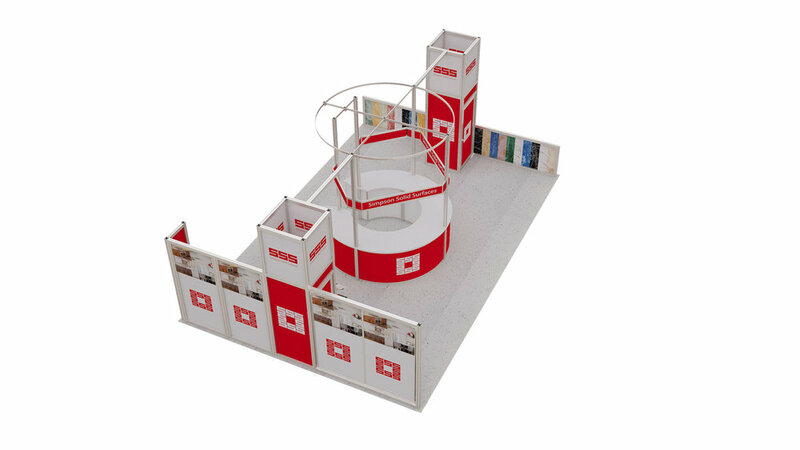 The unique way our systems are built enables this kit to be reconfigured as open on 3 sides, or as an island site. 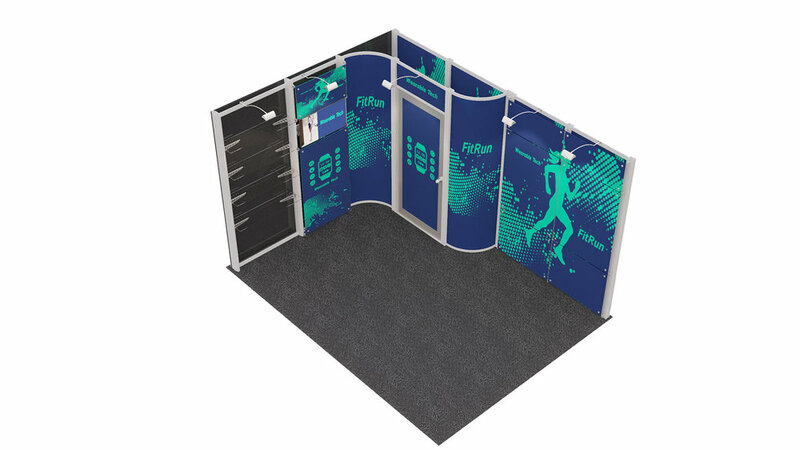 This kit was designed for multiple points of interaction between visitors and stand staff. 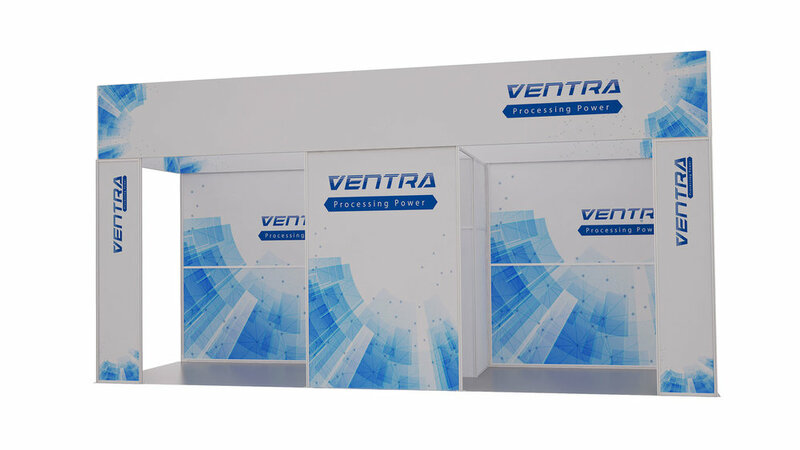 It has 6 meeting points as built in counters.